UGC NET Geography Answer Key 2018 – UGC NET 2018 Examination Dates are December 18, 19, 20, 21, 22, 2018. The candidates who are appearing the exam can find the UGC NET Answer Key 2018 for Dec exam from this page. NTA publishes the Official answer key within 03 to 05 days of exam. The mode of getting answer key is online as it is being released through login, the credentials to fetch the answer key is registration number and date of birth. To estimate the score with answer key the candidates have to use the marking scheme of UGC NET. To know more about UGC NET Geography Answer Key 2018, keep on reading the details on this page. Candidates can get here day wise and shift wise UGC NET Geography Answer Key 2018. Check below. 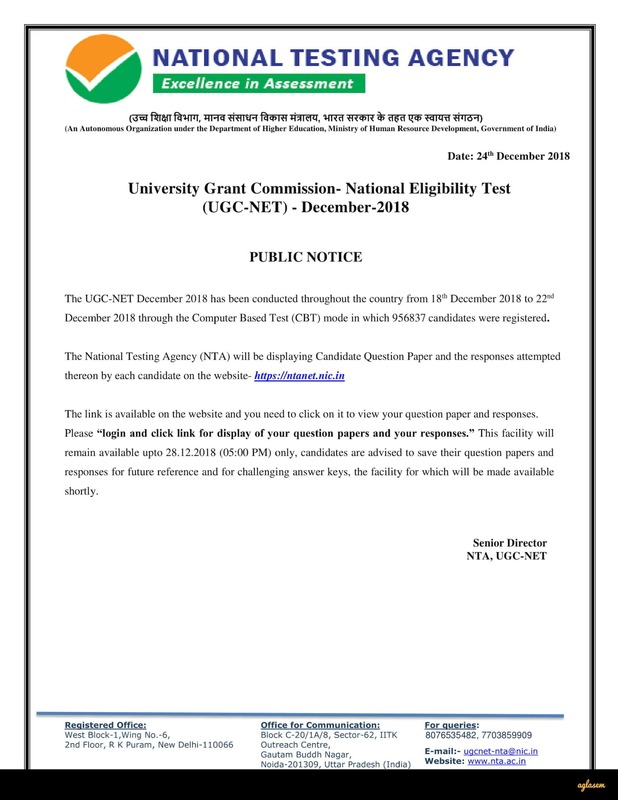 NTA has released UGC NET Geography question paper and responses on December 25, 2018. Candidates can check and submit objections until December 28, 2018. View UGC NET Geography Question Paper And Response: Click here to login and check NTA NET 2018 question paper and responses. How To Calculate Score Using UGC NET Geography Answer Key 2018? To calculate the score using the answer key of UGC NET Geography 2018, the candidates have to cross-check the answers in the key with that marked in the examination and then add/subtract score as per the marking scheme.